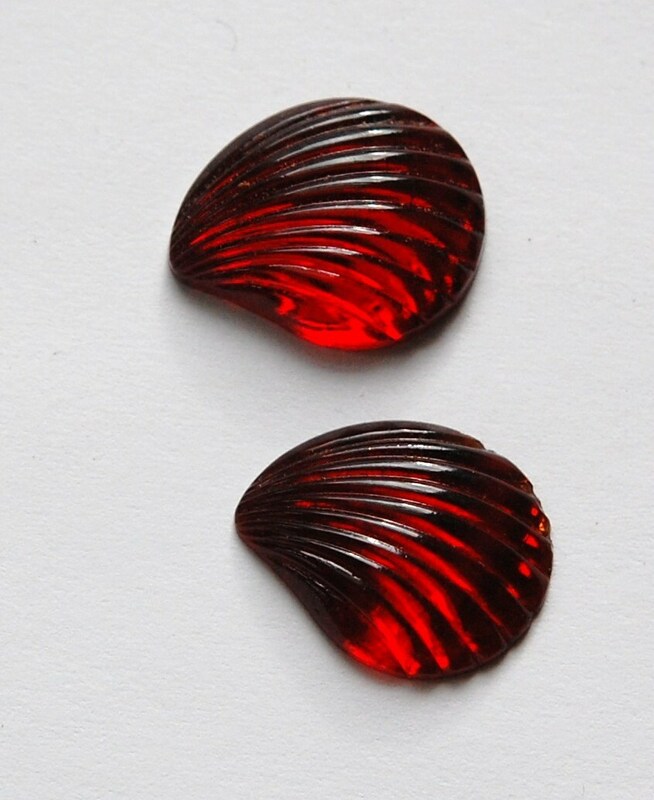 These are vintage ruby red glass cabochons. They have a gold foiled flat back and a ribbed top. They look like a fan or a shell. These measure 17mm long X 14mm wide. You will receive 2 pieces. Who doesn't love red!? Great little cabs and as always, good value. Lovely pieces and fast shipping! !